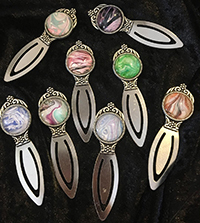 Anabel creates unique pendants, earrings and bookmarks from fluid acrylic paint in conjunction with her paintings. Each piece is original, actually a miniature painting. They are housed in metal alloy bezels, with glass cabachons. Pendants have brass or silver-plated chains in 18”, 24” and 30” lengths. Items are priced from $ 8.50 to $ 25 each, discounts for multiple pieces. They will be available at Hoosier Artist Gallery but also always from Anabel directly. the Bloomington Gallery Walk on April 5. She will display her colorful abstract Fluid Art, the first major public display of this art in the city. She has been awarded an Arts in the Park grant for the fourth year by the Indiana Arts Commission and Department of Natural Resources. 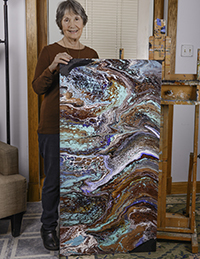 She will conduct a children’s workshop at Spring Mill State Park in Mitchell on Earth Day April 20 and an adult landscape painting workshop on June 22. At McCormick’s Creek State Park in Spencer, she will conduct a children’s activity on June 8 and an adult landscape painting workshop there in September. All these activities are free to the public; some require registration. Anabel will lead a workshop at the WinterBliss Wellness Retreat at the Abe Martin Lodge in the Brown County State Park on Sunday, January 20. 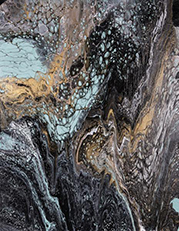 The workshop is an introduction to Fluid Acrylic Pouring painting. The workshop is part of the day’s program; contact Anabel for further information. 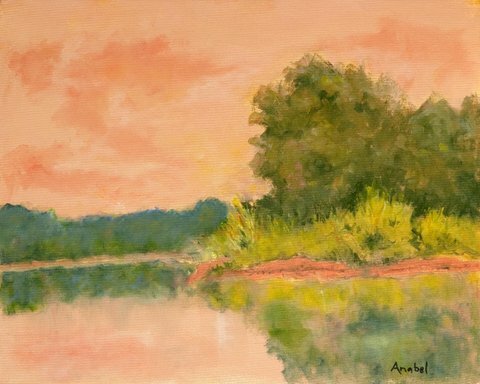 Anabel will be scheduling lessons at Hobby Lobby in Boomington for Fluid Acrylic art as well, The first is scheduled for Saturday, February 16, from 2-4 p.m. There is a charge for this workshop. Please contact Anabel for details and registration information. 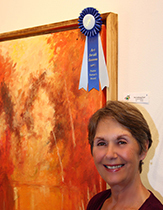 Solo show: “Adventures in Abstract”, Bloomington City Hall Atrium, July 6-30, 2011. Duo Show: “Abstract Thinking” Art Gallery at Healing Arts Indy, 805 S. Meridian, Indianapolis, August 12-October 9, 2011. 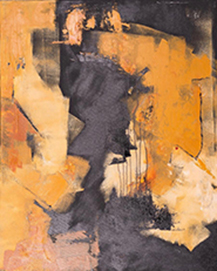 Solo abstract show: Phi Gallery at Hotel Indigo, Columbus, Indiana - October 1 - November 30, 2011.